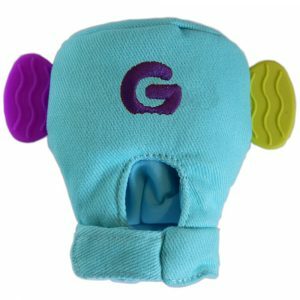 This stunning key ring makes the perfect teether for your lil one when you are on the go! The rose gold lobster clasp makes attaching and detaching your keys to the key clip on your nappy bag quick and easy – perfect to save you digging for your keys when your hands are full with a bub or two (or THREE). 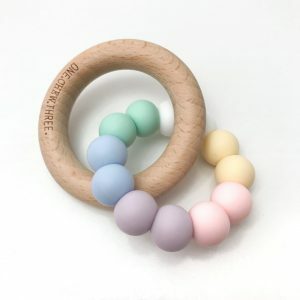 They’re also perfect to clip on your nappy bag as a subtle statement and pair perfectly with any ONE.CHEW.THREE necklace as the perfect gift. Made with high quality, 100% food grade silicone beads and are free from BPA, lead, cadmium, phthalates, PVC and latex. They will not absorb odour or support the growth of mould, fungus or bacteria. Remember, these are NOT a toy and should not be given to a baby. WARNING: THESE ARE NOT A TEETHING TOY. NEVER LEAVE YOUR BABY OR CHILD UNATTENDED WITH THIS PRODUCT. Silicone bead necklaces and accessories are intended as a safer, non-toxic alternative to costume jewellery and are for adult use only.